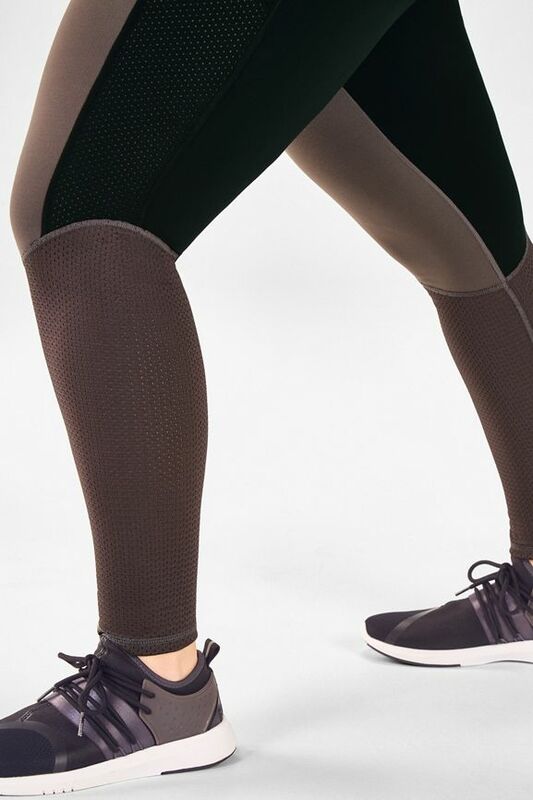 Mesh helps keep the legs long leggings cool, although definitely on the ticker side. 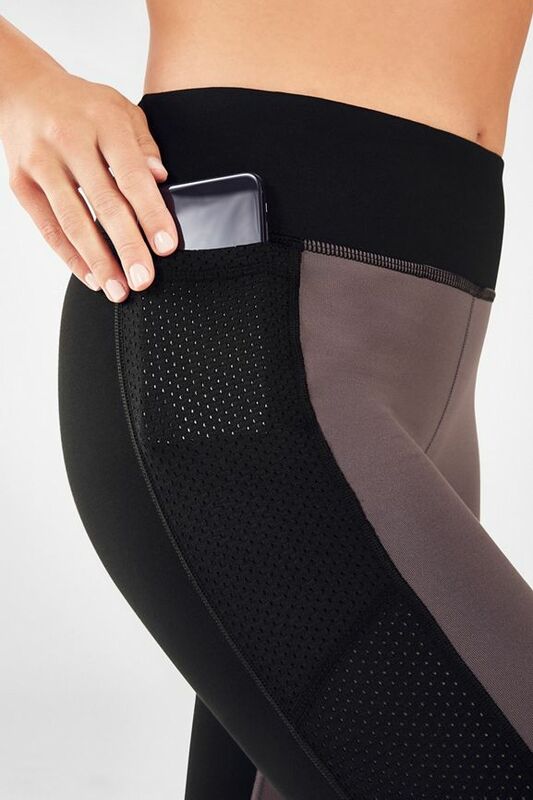 Multiple pockets which is great! Very comfortable. I loved these leggings. They are great for my bag class, the support and material kept me cool and able to continuously move without any problems. Love these leggings. They're super thick and they don't roll down. They run small but that's ok, will still wear them! 5'8", 135. size small fit perfect. love the color blocking. the grey sections have a bit of a purple hue. Its a shame it's about to be too hot here to wear them for an outdoor workout, but i look forward to wearing them again in the fall.